Tipi weddings are magical. 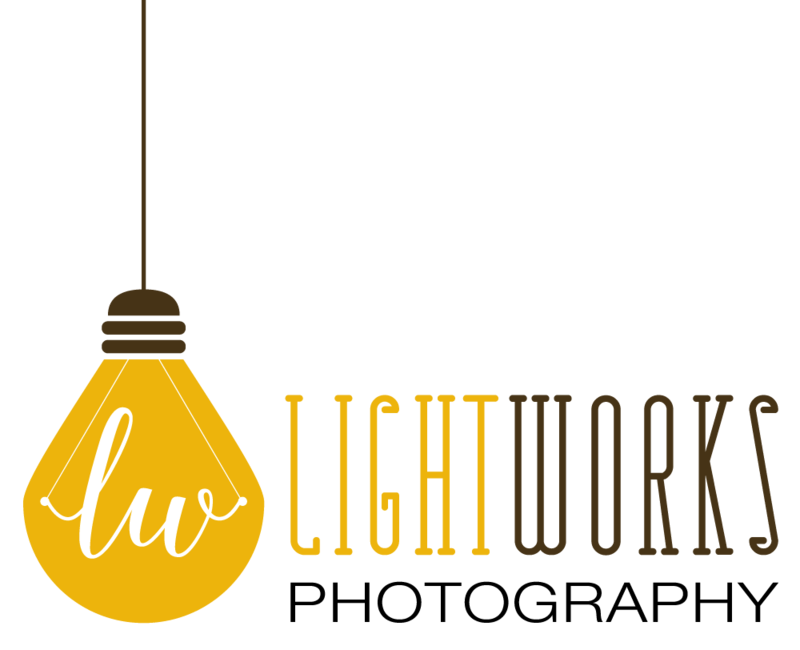 There’s no denying it…..just look at the image above, the twinkly lights, the secluded woodland setting, the smell of the open fire and of wood and canvas. 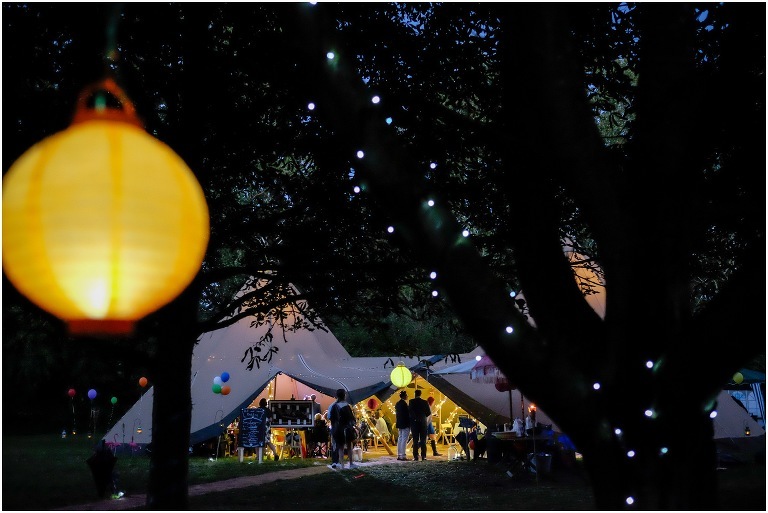 They naturally evoke a laid back fun/festival sort of atmosphere and, if you throw in a bit of wedding guest camping and some torrential rain into the mix as well you have your perfect English summer! Will and Laura had the most fantastic day and it was the best sort of wedding for me where I could just “do my thing” in recording the events as naturally as possible and going along with the flow of the day. 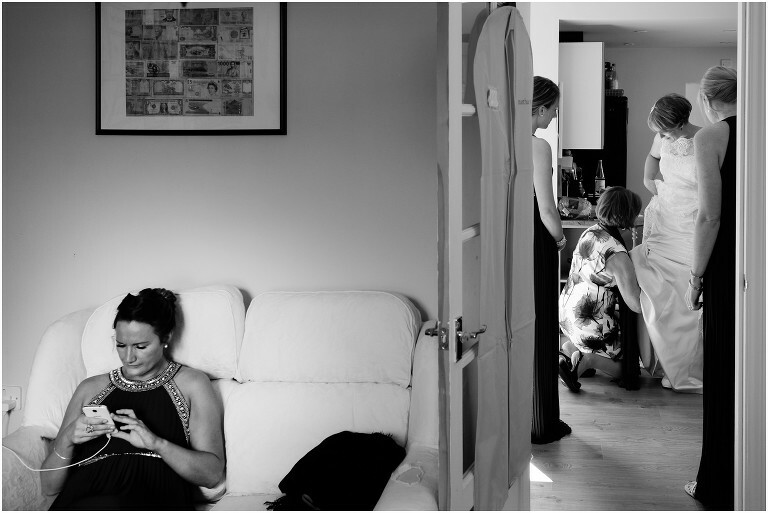 Below: I love the juxtaposition of the two elements in this picture….it really wasn’t the case at all but it looks like the bridesmaid’s phone is simply much more interesting than Laura getting into her dress! It was just a fleeting observation on the day that amused me! Below: That’s one very, very happy first look! 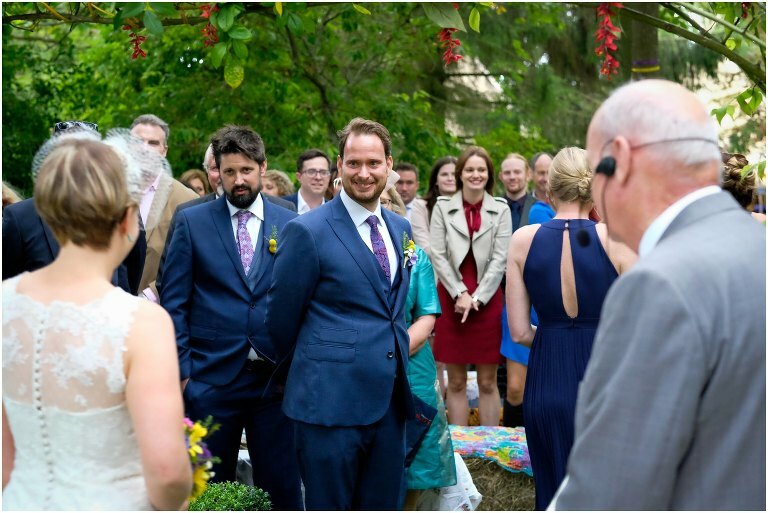 Will turned round to see Laura walking along the lawn to their ceremony. Below: Love this and yes, it just started absolutely pouring with rain. Moments later we all sprinted out of the downpour into the tipi for the ceremony to continue! 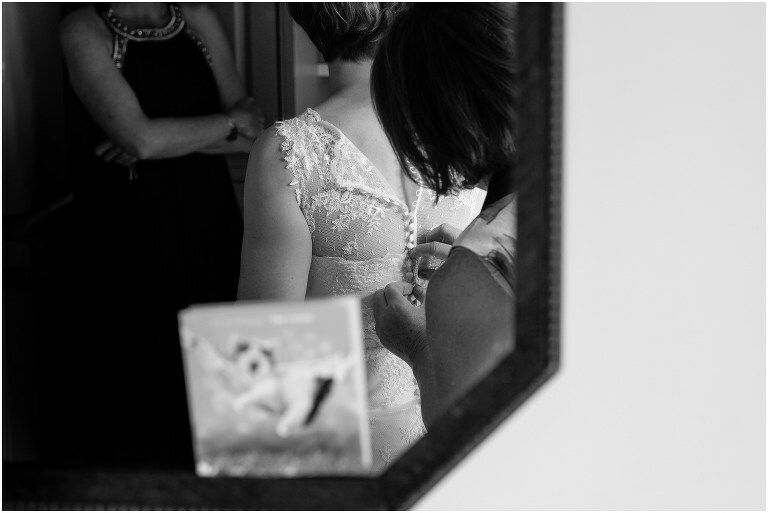 Below: I love the intimacy of this….just recording a stolen “private” moment and hopefully an image that will remind Laura and Will how they were feeling at that moment for years to come. Below: ThisMum and daughter spend ages looking at the books and reading in this fantastic light……….I really like the shape and colours of this. Below: During the speeches. Will’s embarrassed, Laura’s taking pictures……..just a slightly quirky picture that, if you were there makes perfect sense! Below: Talking about one of your most cherished friends in your speech……. Above and below: I do really love the first dance picture above but I always wait until everyone else has come onto the dance floor as well. Often the bride and groom will instantly become less self-conscious and the context of the other people in the image below, for me at least, gives this much more power and authenticity.